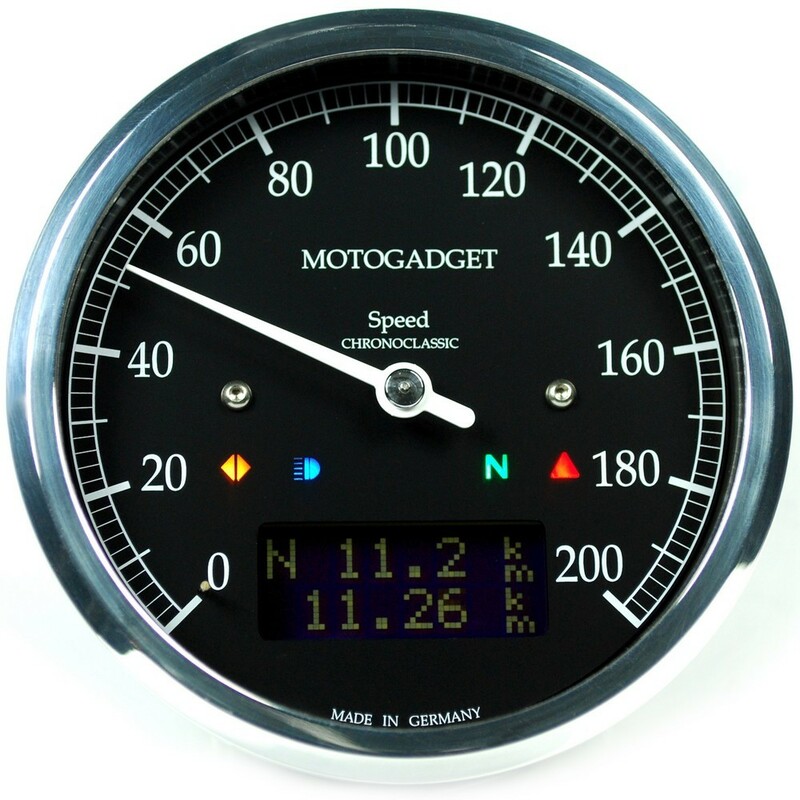 The motogadget Chronoclassic speedo is an analogue speedometer with many additional features in a classic round casing. 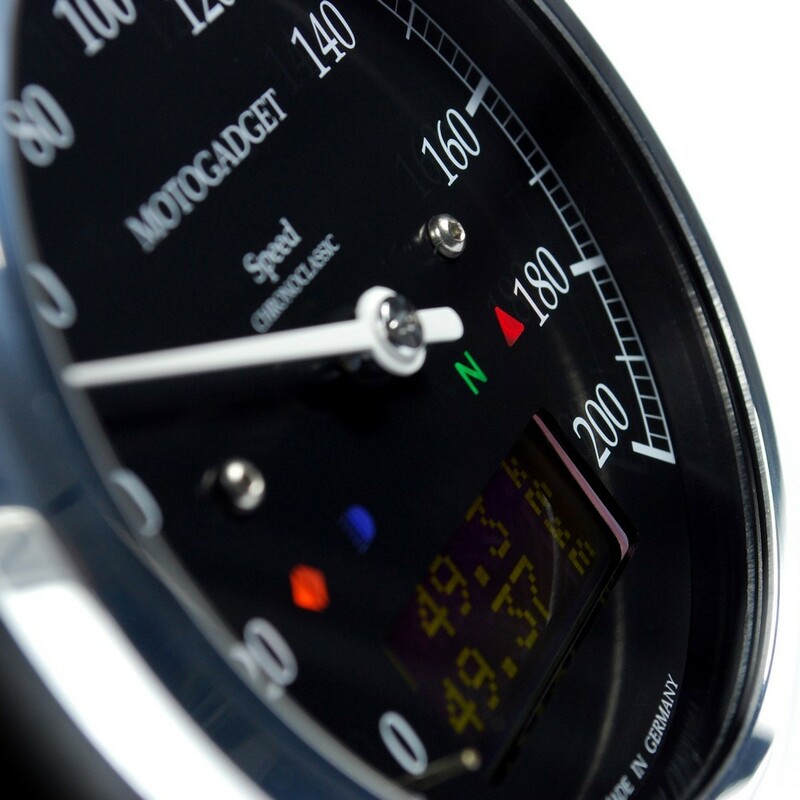 Technically identical to the motoscope classic speedo, it brandishes a black dial and a white indicator. The design resembles old Smiths brand instruments. 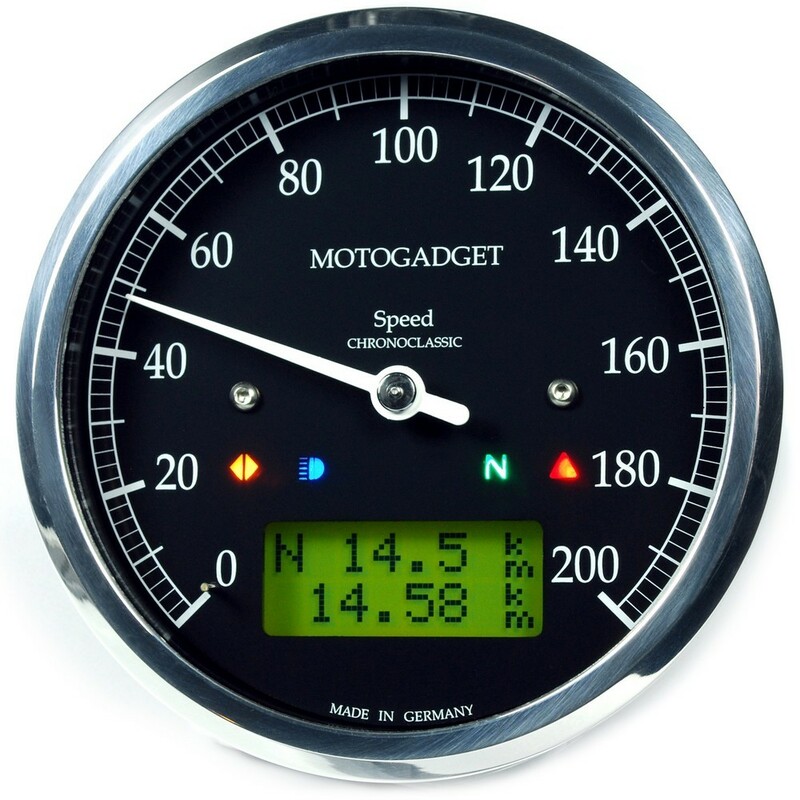 A technically identical instrument is also available with a white dial (please refer to the motoscope classic speedo) or as analogue rev counter (please refer to the analogue tacho CLASSIC series).